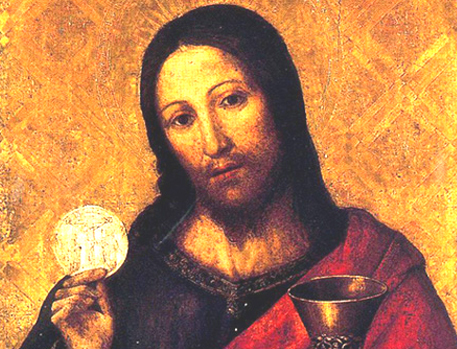 Why Have a Holy Communion Service for Healing? Are you a Christian who believes the Bible? Are you sick or injured? Are you wounded or broken on the inside? Are you suffering? Do you have sins to confess? Have you obeyed Scripture? This is God’s command through the inspired word of Scripture. God’s word promises healing and forgiveness for the sick and suffering. He promises to respond and to answer the faithful prayer of a righteous person. Jesus teaches, in fact commands, us to pray, “Your kingdom come, your will be done, one earth as it is in heaven.” (Matthew 6:10) Are you doing this daily? There is health and freedom in the kingdom of heaven. To pray for healing now is to pray for God’s kingdom and his will to be done on earth as it is in heaven. This prayer is not a form to be followed ritualistically but to be desperately prayed with a lively faith that pictures heaven and cries out for that reality to come to earth—to our very lives! Are you praying as Jesus commanded? Are you praying for the kingdom to come and his will to be done as it is in heaven in your life? Do you see with the eyes of faith what that means? This is how Jesus commands us to pray. The author of the gospel, Luke, points out to his audience that Jesus told his parable for the specific reason that his disciples “ought always to pray and not lose heart.” My friends, we as Christians have too often stopped praying and have lost heart. We have settled for a feel good, affirmational church experience that placates our complacency or helps us to feel “okay.” We have settled for a dysfunctional life in a fallen world and alleviated our desperation by telling ourselves “we are just broken people; what else can we do.” The woman in Jesus’ parable had no hope but the judge’s verdict, and she kept going; she kept asking. Jesus says that God will give a favorable answer to his children that come to him day and night for justice. Justice in God’s eyes is the proper recompense for the payment of Christ’s blood! Did Jesus die for the forgiveness of your sins? Did Jesus die for your healing – body, soul and spirit? Did Jesus die for the destruction of evil—sin, demonic angels and death? Yes! Yes! Yes! Jesus asked the question, “Will he find faith on earth?” When Jesus comes, is he going to find people who believe in the present reality of his victory over his enemies of sin, death and Satan? The recompense of his blood and death that wrought victory is his kingdom coming into your life to the glory of God. He won your salvation. Your salvation is the kingdom of heaven – as it is in heaven that it would be in your life on earth. There is an implication in the above parable that those people of God who have faith in God’s justice will cry out to him day and night until that justice – that victory, is manifest in their lives. Let’s stop denying the power of God to transform our lives and world and start desperately requesting its manifestation. At Church of the Redeemer, we believe this Scripture. We believe in the meal of the body and blood of the Lord Jesus Christ. We take the words of Jesus and the words of Paul in the Bible seriously. Faithfully receiving the body and blood of Christ is receiving the gracious life-giving substance of the Lord. We are participating in the body and blood of the Lord through this consecrated meal. The fact that the apostle Paul makes the inspired assertion that people in the Corinthian church were ill and even dead because they unworthily received this meal seems to imply that properly receiving this meal by grace through faith in Jesus would give health and life to the recipients. These faithful men are echoing the faith in the Lord’s Supper that was the common posture handed down from Jesus to his followers and taken up by the apostle Paul and the early church. It is still true today that this meal is the “food of immortality” that we are commanded to receive in remembrance of Christ. We do not receive it as magic or ritual, but in faith, we receive it as the gracious gift of God given to his people for their supernatural benefit. We believe it, and we receive it for our healing. As a Christian, why would you not run to receive such a gift from God? That is why we anoint and lay hands and pray for the sick. That is why we feed on the Lord’s body and blood. That is why we proclaim God’s word and preach the gospel. That is why we cry out night and day for justice. This is why we believe that when we pray for healing God heals in one way or another. We believe he answers our prayers, because Jesus promised he would. That is why Church of the Redeemer is having a monthly Service of Holy Communion for Healing – body, soul and spirit. You go everywhere else for what you need. Come to his Table.